Matriki Beach Huts is a small, budget hideaway situated right on the beach on the North West coast of Aitutaki in the Cook Islands. We specialize for the adventure traveler. There are four beachfront huts and a garden unit. The Beach Hut is a stand alone beach hut, with double bed, kitchenette and outdoor shower under the stars. The two-storey Treehouse has an upper and lower hut one above the other. The Treehouse huts also each have double beds, a kitchenette and their indevidual outdoor showers. The Reef Hut is located in between the other huts but set back a few meters for privacy. 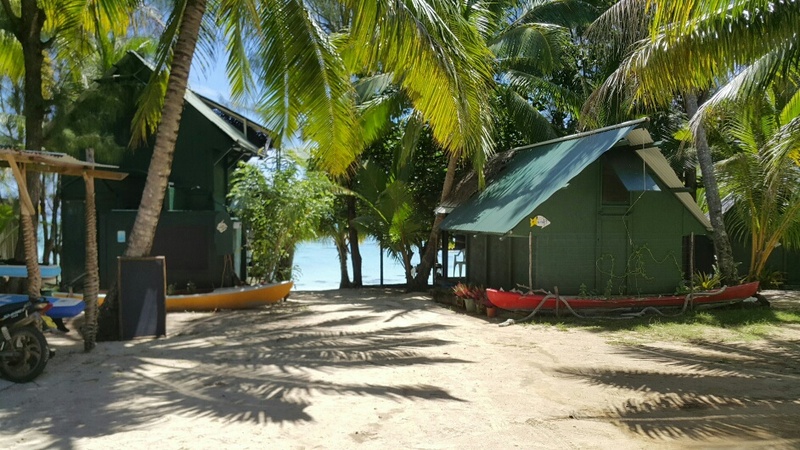 All four beachfront huts share a toilet facility set back 40m from the beach. The Garden Unit with its ensuite shower and toilet is 'on the beach' but set back just 30 meters behind a little garden. It has a double and a second single bed. Matriki beach offers fine white sand, all-tide swimming, excellent snorkelling and glorious sunsets. Matriki Beach Huts is built on family land and is Cook Islands Tourism accredited. Your hosts Erica and Byron with kids Cruz and Isla live at the back of the property and are there to help you enjoy your holiday. Matriki offers a variety of boating adventures on the lagoon and outside the reef - snorkelling, fishing, motu drop-offs, lagoon cruises, and turtle - whale watch and so on. We are a short walk from several good restaurants and a short scooter or bicycle ride from the grocery stores, wharf and town centre. Scooter and bike hire is on site. We loved every minute over here.We had a couple of good days with lots of sunshine , but the last days were rain all the time, but it didn’t matter. We came here to relax and that is what we did. The sunsets are perfect with all the red and pink colours. The lagoon cruise was wonderful as well – snorkelled for the first time and it was beautiful.There are so many different types of fish out there- amazing. Thank you for a wonderful stay! After much research I chose Matriki for a wonderful holiday. Loved every minute of my time on the island, especially the lack of crowds, empty white beaches, the snorkelling meters from the our hut,the swaying coconut trees and the fabulous fellow ‘hutters’ from Matriki. The lagoon cruise was out of this world. The negatives were the hoards of mossies and my daughter didn’t appreciate the roosters waking her up every morning. But these issues pale in significance with the happy times we had. My heart,my mind and my soul have been healed during my ten days on Aitutaki. We enjoyed the time at Matriki- wonderful simple huts – great value. Thank you for this beautiful place. Calm and tranquillity, simplicity with character. Very much our kind of place. I concur with all the superlatives that have already been written so no need to duplicate. The anly negative thought in my mind is that as I write this I know that soon I shall take my last look across the lovely lagoon, lock it into my memory and say goodbye – until the next time! We’ve had six days on Rarotonga and 3 nights here- we will do it the other way around next time! Loved the hut – had everything we needed and the view and being able to step straight onto the beach was fantastic. It’s been hard to get my son Jamie (14yrs0 out of the water – loved the snorkelling. We have really enjoyed our stay , the friendliness of the Aitutakians and the laid back feel and attitude, let alone the stunning island. Hope to be back. Never in my wildest dreams did I think Aitutaki – anywhere in the world for that matter – could be this beautiful. This is really paradise. The hut is in a great spot – every night I kept the door open so I could wake up to the view of the lagoon. Matriki lagoon cruise was a fab day, really personal, great lunch, and I finally faced up to my fear of fish – the snorkeling was wonderful. Hopefully will return some day. Wow this place is absolutely fantastic and our wildest dreams and expectations more than fulfilled!! This place has a dream location and the ‘tree house’ a wonderful charm. It’s just what we wanted. Life here is so peaceful and relaxed, although a local rooster has tried his best to stir up some early hours life – we truly hope to be back some day. Like heaven on earth. Right on the most beautiful beach. Awesome snorkeling, great coral life out there, fantastic lagoon trip, the clams where amazing, pretty rough outside the reef but Dave still got in for a snorkel. If you want to go game fishing call up Mike & Mere – the neatest people. Dave caught 3 tuna. Everyone so friendly wherever you go. We tried all the restaurants + the one that hasn’t been mentioned is the Boatshed – awesome seafood platter for 2. Everything we had been told about this place is true and we will be back. We stayed for 7 nights – apart from the lagoon, snorkeling off the islands, beautiful weather etc, we actually had a great group of people here at the time – BBQ feast with freshly caught tuna and chicken under the stars. Fed the leftovers to the hermit crabs. We should have spent more time here than on bloody Rarotonga, because it truly is the island paradise you are looking for.. Did Matriki cruise – was worth it – more personal and not so touristy as the bigger boats. Loved the giant clams, rays and turtles, the little fish – the lagoon is like a big swimming pool. We love it here and will recommend it online ( it doesn’t appear in Lonely Planet Guide) My friend the cheeky gecko will miss me and if that rooster is still here say hello from me - the one that crows at 6am. Well I’ve read through all the comments in all three books (we stayed upstairs, downstairs and in the separate hut) and can join in the chorus of admiration for both Matriki and Aitutaki. Before we arrived we were told by Rarotongan locals that 9 days was way too long to spend on Aitutaki – but they were wrong! We actually felt quite busy scootering around, eating out at Kuru Cafe, island night at Samade, rocking at the Fishing Club Saturday night, hiking around the trails, snorkeling, swimming and lazing around. Of course a trip on the lagoon is a must. Absolutely beautiful. We only spent 5 days here 3 years ago – so this time we arranged 2 weeks, still not enough! Snorkeling on the reef here is the best on the island – apart from off a boat in the reserve. The Matriki lagoon trip was excellent. After a couple of weeks the tree house felt like home and we are sad to leave. Before we came I was concerned that it would not be so completely idyllic as I imagined it to be from the website – I need not have worried, it has been fantastic, everything I hoped for and more. The snorkeling is great, the kayaking out at Outo is stunning and the game fishing was successful. Finally a big thanks to Matthias – the BBQ with all of us and the fish we caught was great. Last week of holidays,35th wedding anniversary, one week of lying in the sun before north for winter. Awesome little hut an the beach. Exceeded our expectations. Impossible not to just relax and enjoy. 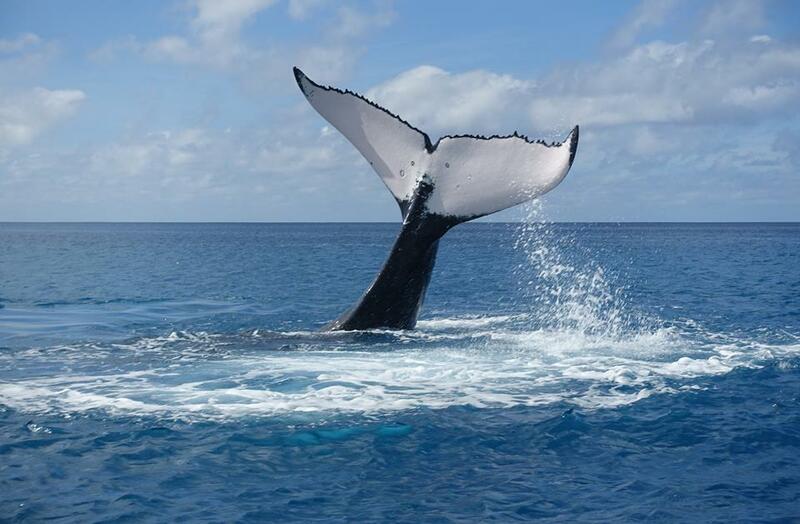 A must do is the Matriki snorkelling cruise. Matthias is not only a great guide, hell of a boat captain, he can cook as well. Riki and Keegan it has been a pleasure. Thanks for letting us visit your island. 5 stars! Matthias has managed to create the paradise here on Aitutaki,this beautiful island in the Cook islands. I and Mikael have had the most lovely and beautiful time in our life, and to wake up every morning with this picture is amazing. To all of you aiming to Matriki,you will never forget. The snorkeling tour is amazing and the food he make is unforgotten ...we did it twice! We have now been here for two and half weeks and should stay 5 more days and we are already sad to leave. This beach hut is the best home a 'man' can get. If we could we have taken it with us home to Sweden....we have been travelling a lot but never had this experience, this is the best, outstanding!